Mary Norris began working at The New Yorker in 1978. Originally from Cleveland, she now lives in New York. 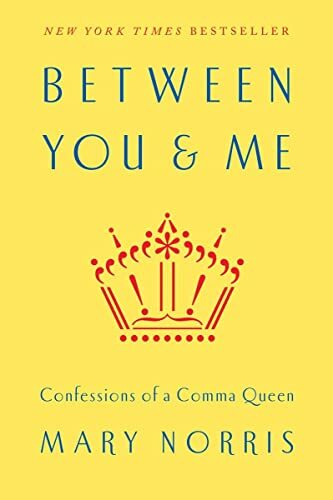 Between You & Me: Confessions of a Comma Queen is her first book. Derek followed through with his longstanding plan to rabblerouse at this year’s New Hampshire primary. Check out his blog for dispatches. Joining him are three other esteemed bloggers: Cem, El, and Aeri. I’m hoping they regale us with their thoughts, as well. By the way, the best over book about rabblerousing whilst following presidential campaigns is Fear and Loathing: On the Campaign Trail by good ol’ Hunter S. Thompson.